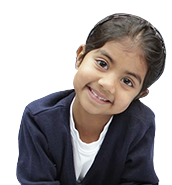 We are a registered charity, run almost exclusively by volunteers, aimed at developing the children of today into society's leaders for tomorrow. We support our children to develop good morals, values and leadership skills which will enable them to flourish into well-rounded and balanced individuals able to tackle life's challenges. If you pay tax in the UK, please sign the Gift Aid Declaration. With this, Shishukunj can reclaim the basic tax rate of 25 pence for every pound you give. More about Gift Aid.